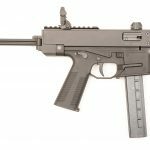 Coming full circle, the Australian Leader T2 series was based on the American ArmaLite AR-18; Masterpiece Arms introduced the MPAR a few years ago and is the first time the Australian designed firearm has been made in the USA. The most obvious changes, from Charles St George’s Leader series, includes removing the carry handle for a Picatinny optics rail, moving the charging handle back from the handguard to the receiver (FAL style), a Picatinny handguard, changing the grip to the universal AR15 type, and also adding an AR15 type stock. 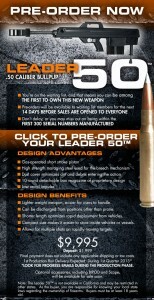 After Leader closed their doors the design was sold to Australian Automatic Arms. While the AAA also removed the carry handle it also changed the bolt. The MPAR and Leader T2 use the same type of triangular bolt. Photo comparisons of the bolts are on my (very incomplete) pet project website at ID.GUN.FM. 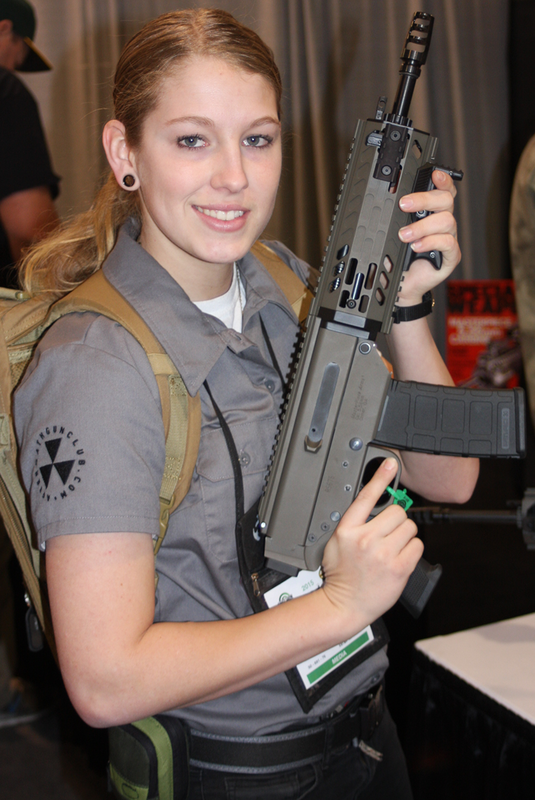 GunDoll with a pistol variant of the MPAR at SHOT Show 2015. 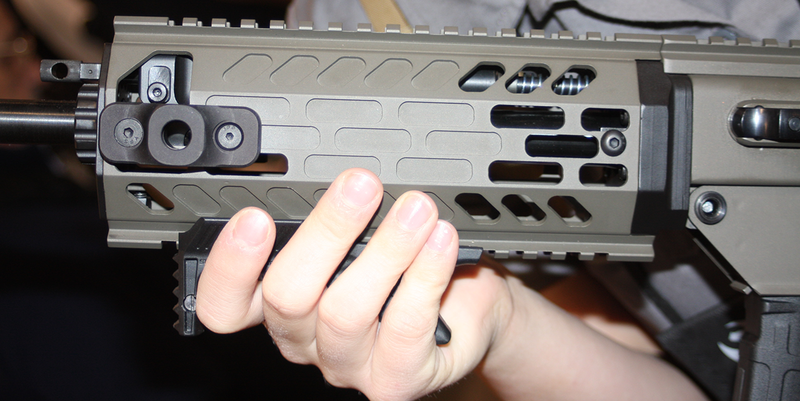 Of much criticism is the tall handguard that seems to have been designed in the opposite direction of what consumers currently prefer. Current listed models on their website include three calibers, and two generations. 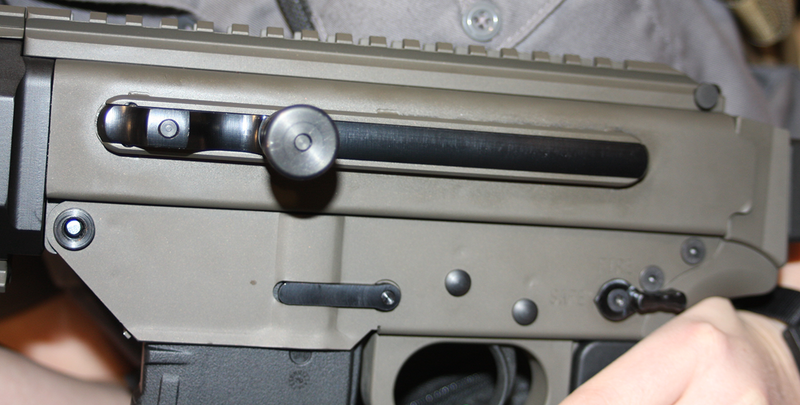 Replacement parts, including complete uppers, barrels, and bolt carrier groups are available on their website. 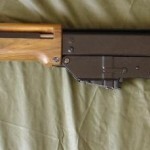 The Australian companies also made pistol variants. For reviews, both negative and positive, check out the following two links. 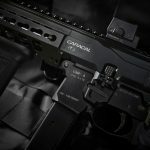 Unlike the AR-18 predecessor, the Leader Dynamics and Australian Automatic ..
Australian firearm designer Charles St. George isn't new on the ..